These are the sidewalks the city will require JSK Snow Services to plow if councilors approve the agreement at a special Friday meeting. 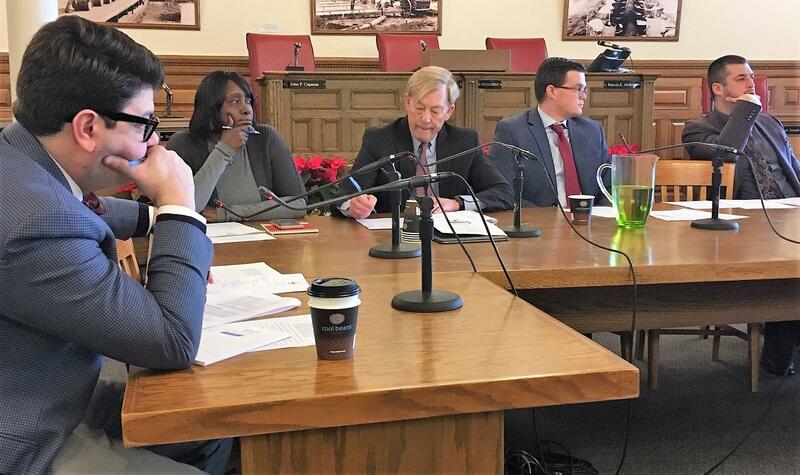 Syracuse Common Councilors are hoping the second time will be the charm this Friday when they vote on an agreement to clear snow from 20 miles of busy sidewalks. Walsh administration officials met with councilors Tuesday to explain the contract terms with JSK snow services. Common Councilors will vote at the end of the week on a new agreement for sidewalk snow removal in the city. Director of Administration Christine Elliott says they’ll deploy after three inches of snow has accumulated, and salting won’t be required due to cost. She feels the city and contractor are better prepared. "We made significant progress with this group before coming to you to ask for that ability to negotiate the contract. The scale size and of this company is much larger, and they're better positioned to take on this kind of work, and that is the biggest difference." The tentative $170,000 deal with JSK comes after a previous vendor pulled out of their agreement, so councilors were clearly more cautious about moving forward. Elliott tried to reassure them, saying they came at the recommendation of the Downtown Committee. 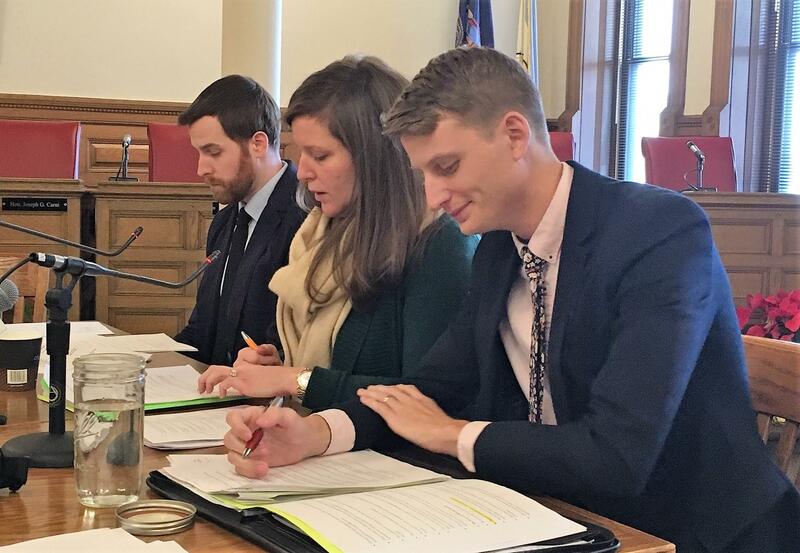 From left to right, DPW Transportation Planner Neil Burke; Director of Administration Christine Elliott; and Accountability Project Manager Evan Helgesen meet with councilors Tuesday. "The terms of the contract are pretty firm, and we all agree in principle with what we want to do to the pont where the vendor has provided us with the bonded money, and has also made sure the equipment is available and freed up capital to make that cost outlay. I think they're very serious about moving this forward in an expedited and professional manner." Elliott says the firm comes at the recommendation of the Downtown Committee, and has experience clearing seven miles of sidewalks at Electronics Business Park. Evan Helgesen is Accountability Project Manager with the city, and hammered out contract details with JSK. "They have shown that they are ready and able to do this work. They have years of experience. They have strong recommendations. They are very reputable. So, when they say they are prepared and ready to do it, I'm confident that they are." From left to right, Councilor Joe Carni, President Helen Hudson, Councilors Steve Thompson, Michael Greene, and Joe Driscoll. JSK told city officials they’re ready to purchase equipment and hire more employees to take on the job. They’ll be paid $5,000 per deployment, and the city ultimately gives the final go. But the deal doesn’t absolve property owners from their responsibility to keep their sidewalks clear of snow. Former councilor Bob Dougherty was unsuccessful in his attempts to get similar legislation passed, and says it’s criminal that some business owners don’t care. "We'll be doing them a favor in those 20 miles. But I think it has to be clear to business owners and the rest of the city, particularly the chains and corner stores, it's their responsiblity, too. Just driving down Salina Street on my way here, it's a joke how many of those business owners have not cleared their sidewalks. They must not think people walk to their stores." JSK officials were not on hand for Tuesday’s council meetings due to the ongoing clean up after the weekend storm. Councilors will vote on the agreement at a special Friday meeting. The contractor is ready to start February first. It won’t be long before the pleasant fall turns to bitter winter, and the City of Syracuse wants to have a plan in place for their sidewalks before the snow begins to pile up. 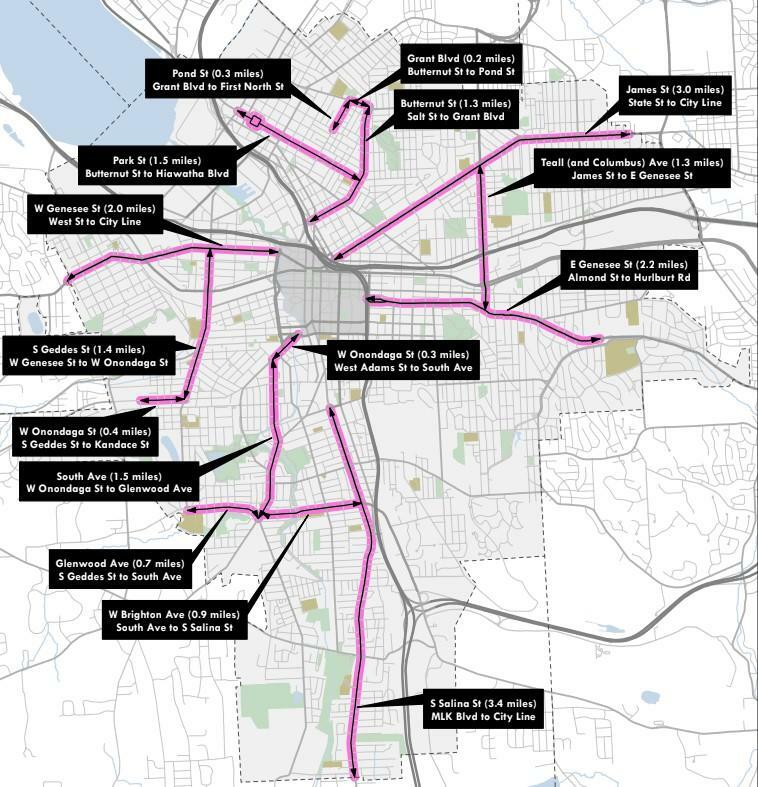 The City of Syracuse released its plan for snow removal, but there are concerns over whether they can find people to do the job.